As a CNA you will not be able to specialize in a certain field. 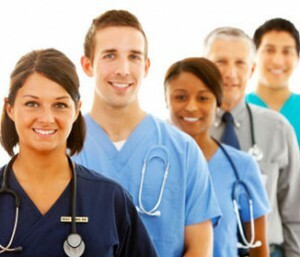 The first step to obtaining nursing specializations is to become an LPN or an RN. This can be done through CNA to LPN or CNA to RN bridge programs. Once you have completed a bridge program you will be able to study further to specialize. It is very important that you take the time to get either your LPN qualification or your RN qualification before you choose to pursue nursing specializations as a CNA because you will find it very difficult to do so without a more advanced qualification. The course will take about a year to complete. Make sure that you are aware of the entrance requirements for the particular course that you are interested in as well as for the particular state that you wish to practice in as these requirements can differ substantially. Ensure that the course that you enroll in is appropriately accredited and that it covers all of the necessary coursework for successfully completing the required examination. You will be required to do theory as well as clinical training. You will be taught the nursing basics. After you have completed the course you will be required to sit the NCLEX-PN examination that will qualify you to be a licensed LPN with the right to practice in the health care industry under that title. The CNA to RN option will take longer as you will need to, at the very least, complete an Associate’s degree. It should take anything from two to four years to complete, but once you have an RN qualification there will be a large number of nursing specializations open to you. The course that you take must prepare you to write the NCLEX-RN examination so that you can become a fully licensed RN with the right to practice in the healthcare industry under that title. It must also be accredited by the relevant bodies. Main Duties: In this line of work you will be responsible for taking care of patients who are very seriously ill and that require a high level of care. In addition you will be responsible for the emotional well being of their families. This is a highly intense, as well as stressful and complex nursing specialization for you to choose. Skills Needed: Vigilance and Advocacy will stand you in good stead. Main Duties: Here your job will be to deal with patents that have heart ad cardiac problems. This could mean before surgery or during a surgical procedure. In addition you will take care of the patient after surgery as well. Main Duties: With a nursing specialization in this field you will be required to really stay ahead of the game by providing state of the art care to patients who are seriously ill and assist them all the way to the recovery stage. Skills Needed: It is absolutely essential that you be aware of the most recent advancements in technology in the health care industry and that you constantly improve ad advance your knowledge in this regard. Skills Needed: You will need to be empathetic and be able to appropriately counsel people (and their families) who are facing potentially terminal conditions. Skills Needed: You will need to have an advanced understanding of the bone structures and functions within the body as well as of the treatment procedures for conditions relating to those structures as these forms the cornerstone of your work. Skills Needed: You will require advanced training in psychiatric health issues and you will need the right personality for the job. Skills Needed: You will require patience as these processes can take a long time. In addition you will need to show empathy and understanding to your patients as well as to their families as they get through this difficult time. Main Duties: This is quite a difficult and challenging nursing specialization to choose as it involves working with patients that have an addiction of some kind to drugs or to alcohol or some other substance. Skills Needed: You will need to be prepared to work n potentially dangerous situations and you must have a strong personality and a positive outlook on life to prevent this job form getting the best of you. Main Duties: Again this can be an extremely dangerous specialization as you will be required to work within a prison offering primary healthcare to the inmates that live there. Skills Needed: ON top of all of the general nursing skills that all nurses you need you will also require some specialized knowledge of how to deal with dangerous patients as well as those suffering from issues related to prison life. Main Duties: Emergency nurses work in an emergency room in a hospital. Their job is to assess and treat a patient in the crucial seconds that they have when they are brought into the emergency room. A very broad knowledge as you cannot know ahead of time what sort of ailments will be brought in. The ability to think quickly under pressure and to keep your head. Main Duties: This is a great specialization to get involved with because there is a large portion of the American population who are currently reaching their elderly years. Nurses that specialize in this area work with the elderly and advocate for their rights. Skills Needed: You will need to have a broad understanding of things related to the elderly patient population and you need to know how to broach subjects such as death and dying tactfully. Main Duties: This specialty involves providing care to patients who are dying and can therefore be highly stressful and emotional. Often you will work in the patient’s own home or in a hospice facility designed for the purpose. Main Duties: This is one of the more popular specialties as it involves looking after babies form the moment they are born until they are 28 days old. It also includes caring for the mother of the baby as well. Skills Needed: You will need specialized knowledge about how to care for a baby. A love for children will also help. Main Duties: This involves working with child patients. In this line of work you may deal with all range of illnesses and it can be stressful when a child under your care dies. Skills Needed: You will need a love for children as well as an ability to relate to them. to a certain degree you will require objectivity so as not to be too emotionally drained by the work. Because there are so many different nursing specialty options to choose form it is highly likely that you will find it easy to find something that suits your personality and your skill set once you have advanced from being a CNA to being a, LPN or RN. Generally speaking RNs are more likely to specialize than LPN’s so the best first step for you to take would be to do a CNA to RN degree bridge program so that you will stand the best chance of being allowed to specialize in your chosen area of nursing.